In the midst of Avengers: Endgame madness, it’s easy to forget this is just the first big movie of summer, and there are other movies coming out. 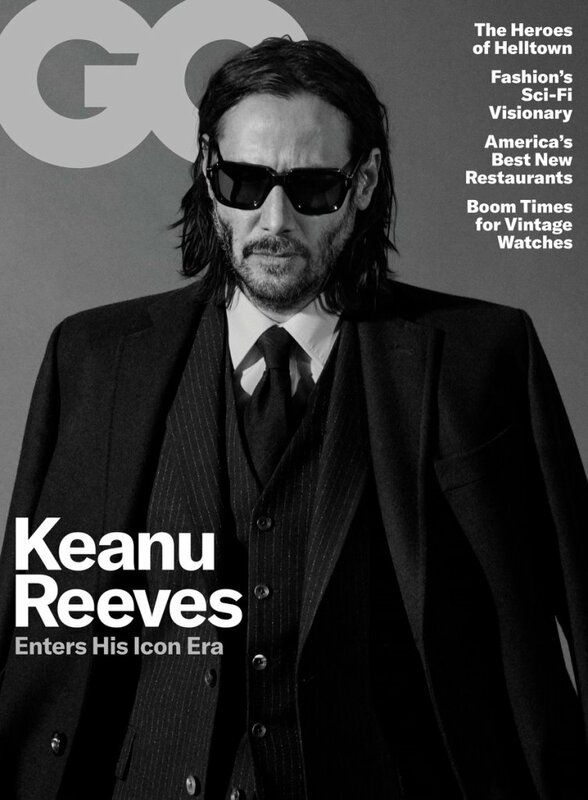 One of those movies is John Wick: Chapter 3 and to remind us of this fact, Keanu Reeves is on the cover of GQ. The whole profile is about the Mystique Of Keanu, and it seems that the writer, Alex Pappademas, leaned on this angle because Keanu is not super communicative in interviews. This is a Movie Star who has been around for a LONG TIME. He knows how the game is played, and he knows how to get through an interview without giving up too much. He comes across as personable, but not really accessible, not really knowable. That, of course, just feeds right back into the Mystique Of Keanu. We have come to appreciate Keanu more recently, in the wake of John Wick, but also, I think, because Keanu is one of the last great Movie Stars, at least on the dude side, who has not let us down. Seriously, name another capital-letter male Movie Star who hasn’t disappointed us. (He’s not a capital-letter star, but this is also why Paul Rudd has risen in the ranks over the last few years, too. Just not being messy is a huge bonus these days.) We joke about Keanu’s immortality—this profile even comes with a video titled “Keanu Reeves is Immortal”—but his immortality isn’t just about his virtually unchanging looks, it’s his CONSISTENCY. As a public figure, Keanu Reeves in unaltered in thirty years of fame. He is entering his fourth decade of celebrity and just…seems like the same guy. I think the only thing this profile is missing is that Keanu Reeves is lowkey a huge dork. It’s there if you sift through his interviews, the spontaneous enthusiasm he doesn’t hide. I mentioned it when I wrote up the Toy Story 4 trailer, referencing an anecdote about Keanu getting into his proposed toy-character in the lobby of Pixar. And I referenced it a couple years ago when I wrote about the Mystique Of Keanu, that the top layer of cool dude-ness gives way to dorky excitement pretty quick. I think it might have happened in this interview, toward the end when they start talking about music and books, but the way it’s written up and presented maintains the Mystique Of Keanu. I get it, he’s got decades of this mystique built up around him, but this profile gets at the inherent paradox of Keanu—he got famous playing dumb bunnies, but he is not dumb. He’s cool and relaxed and remote, but he gets excited about his movies and bikes and, honestly, anything that isn’t talking about himself. 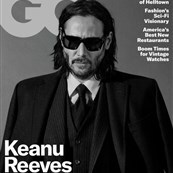 That’s why there is a Mystique Of Keanu to write about in the first place, it’s what has made him so enduring. He plays lonely characters and carries a sublimated sadness on screen—which is the quality that makes John Wick tick—but then you watch or read an interview and he’s bursting out with some super-excited description of an upcoming movie or throwing himself into dumb late-night bits. For all that we talk about how cool Keanu is, his indelible Mystique, his enthusiasm might be his most endearing quality. I wish his profiles, at this stage in his career, were more interested in deconstructing the Mystique, and not just mapping out how it developed, but it must be hard to pull out of that vortex, when confronted with it directly. Because it is that paradoxical quality, his remoteness combined with his passion, that has baffled and beguiled us for thirty solid years. After all, if we had figured out Keanu, we would have lost interest long ago. We still love him because we can’t really know him. Here is a video in which the direction was undoubtedly, “Keanu Cool, but fashion”.